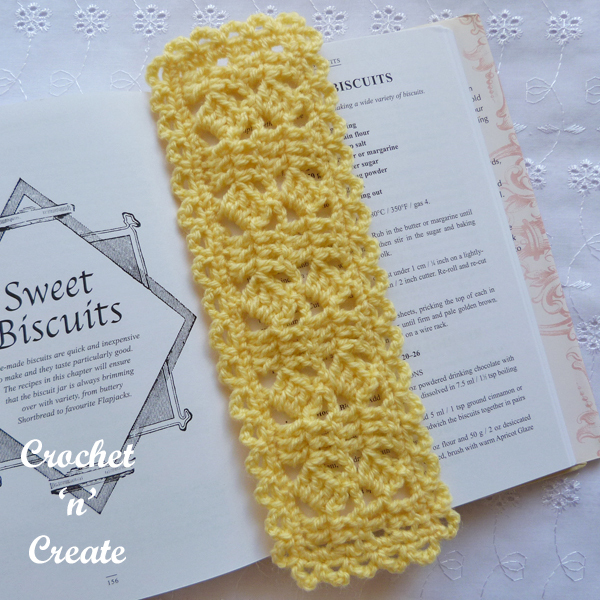 Little Boxes Crochet Bookmark – No need to keep turning them page corners down, use this pretty bookmark to mark your place, it also makes a lovely handmade gift for friends and family. 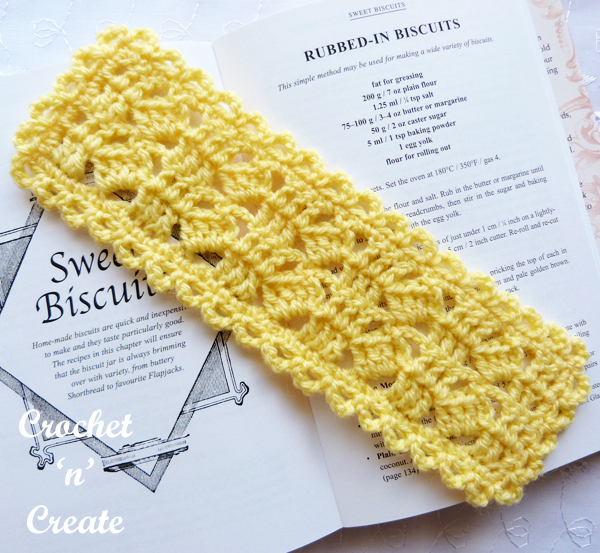 This free crochet pattern is made in my staggered square stitch design and is written in both USA and UK formats, scroll down the page for both. 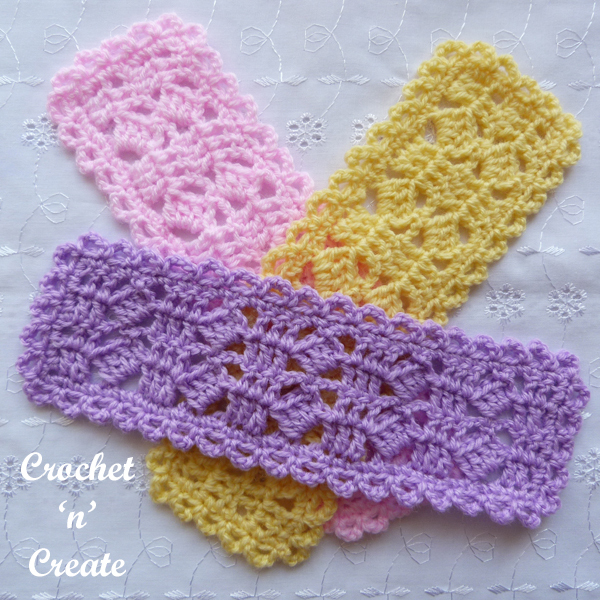 See more of my free crochet patterns on the links below. ch3, work 3dc around the post of the last dc worked. Base of chain. Work in first stitch. ch3 counts as first dc. 2nd Row – ch3, 1dc in each of next 2dc, * ch2, skip 3dc, 1sc in top of ch3 on post 3dc group, ch2, 1dc in each of next 3dc, * rpt from * to * to end, working last dc in top of ch3. Turn. 3rd Row – ch3, 1dc in each of next 2dc, * skip ch2, 1dc in next sc, ch3, work pdcg around the post of the last dc made, skip ch2, 1dc in each of next 3dc, * rpt from * to * to end, working last dc in top of ch3. Turn. 4th Row – Rpt 2nd Row. Turn. Border – ch1, 1sc in base of ch1, 1sc in each of next 2dc, * 1sc in ch2 space, 1sc in next sc, 1sc in next ch2 space, 1sc in each of next 3dc, * rpt from * to * to last ch2 space, sc, ch2 space, 2dc and 3tch, 1sc in (ch2 space, sc, ch2 space and each of next 2dc), 3sc in top of ch3, 2sc in each row end down first side of bookmark, 3sc in corner, 1sc in each of next 2dc, rpt from * to * along starting chain edge to last ch2 space, sc, ch2 space, 2dc and 3tch, 1sc in (ch2 space, sc, ch2 space and each of next 2dc), 3sc in top of ch3, 2sc in each row end up second side of bookmark, 1sc in corner, sl st to first sc on beginning of row. Turn. 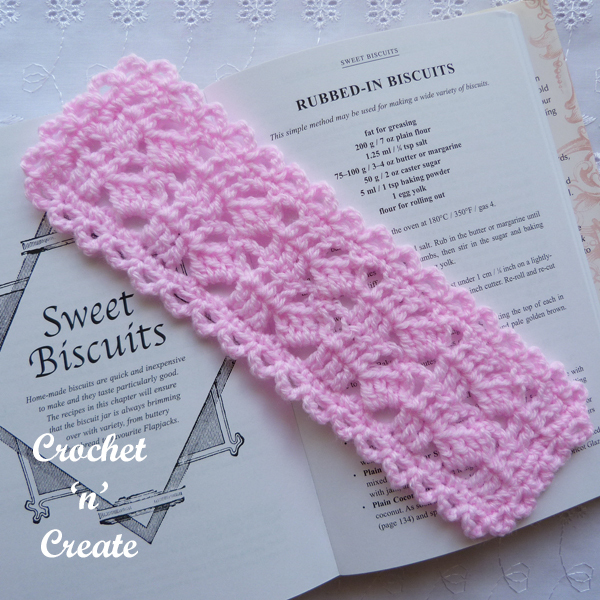 Next Row – ch1, sl st in base of ch1, * ch4, skip 1sc, sl st in next sc, * rpt from * to * around all sides of bookmark to end, sl st to sl st on beginning of row. Work 3ch, 3tr around the post of the last tr worked. Base of chain. Work into first stitch. 3ch counts as first tr. 2nd Row – 3ch, 1tr into each of next 2tr, * 2ch, miss 3tr, 1dc into top of 3ch on post 3tr group, 2ch, 1tr into each of next 3tr, * rpt from * to * to end, working last tr into top of 3ch. Turn. 3rd Row – 3ch, 1tr into each of next 2tr, * miss 2ch, 1tr into next dc, make 3ch, work ptrg around the post of the last tr made, miss 2ch, 1tr into each of next 3tr, * rpt from * to * to end, working last tr into top of 3ch. Turn. Border – 1ch, 1dc into base of 1ch, 1dc into each of next 2tr, * 1dc into 2ch space, 1dc into next dc, 1dc into next 2ch space, 1dc into each of next 3tr, * rpt from * to * to last 2ch space, dc, 2ch space, 2tr and 3tch, 1dc into (2ch space, dc, 2ch space and each of next 2tr), 3dc into top of 3ch, 2dc into each row end down first side of bookmark, 3dc into corner, 1dc into each of next 2tr, rpt from * to * along starting chain edge to last 2ch space, dc, 2ch space, 2tr and 3tch, 1dc into (2ch space, dc, 2ch space and each of next 2tr), 3dc into top of 3ch, 2dc into each row end up second side of bookmark, 1dc into corner, ss to first dc on beginning of row. Turn. 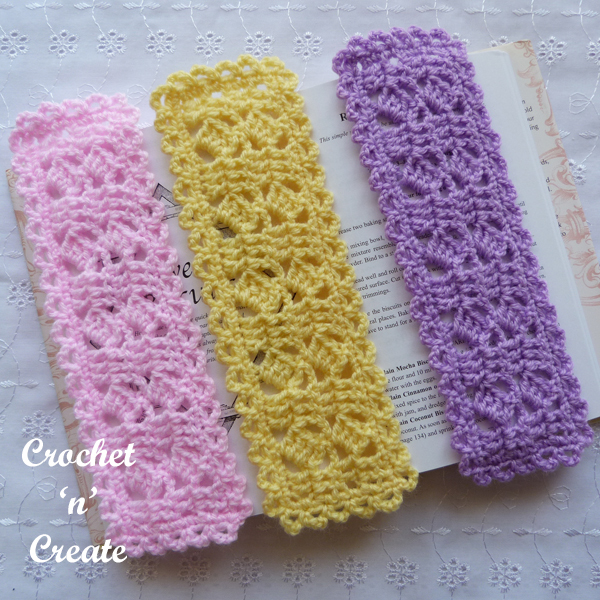 Next Row – 1ch, ss into base of 1ch, * make 4ch, miss 1dc, ss into next dc, * rpt from * to * around all sides of bookmark to end, ss to ss on beginning of row. 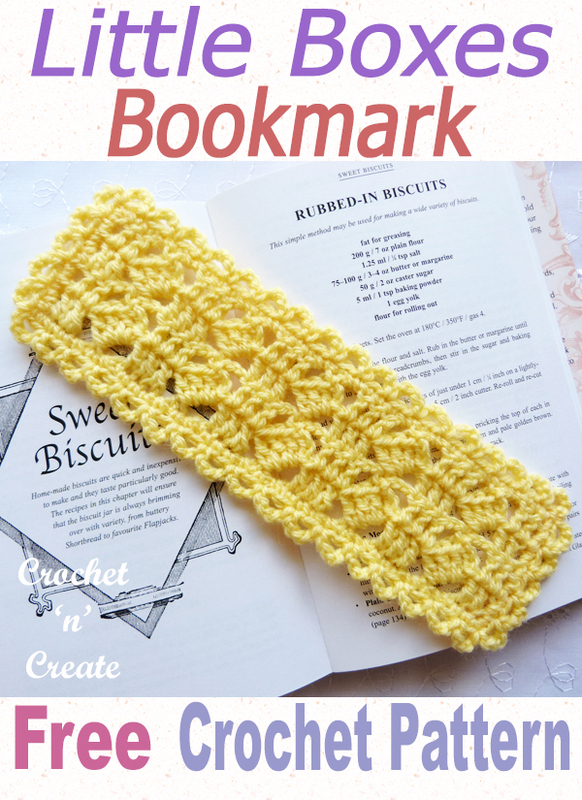 If you wish to print only the text of the little boxes crochet bookmark, select the content you want to print, click file (top left corner on browser), then print, this should take you to your printer settings, choose selection and then OK. 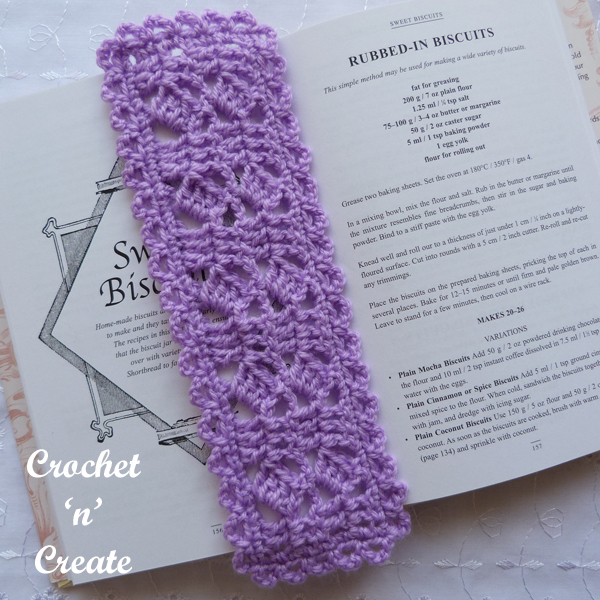 The written instructions and pictures for this little boxes crochet bookmark free pattern are copyrighted to crochet ‘n’ create © 2019. 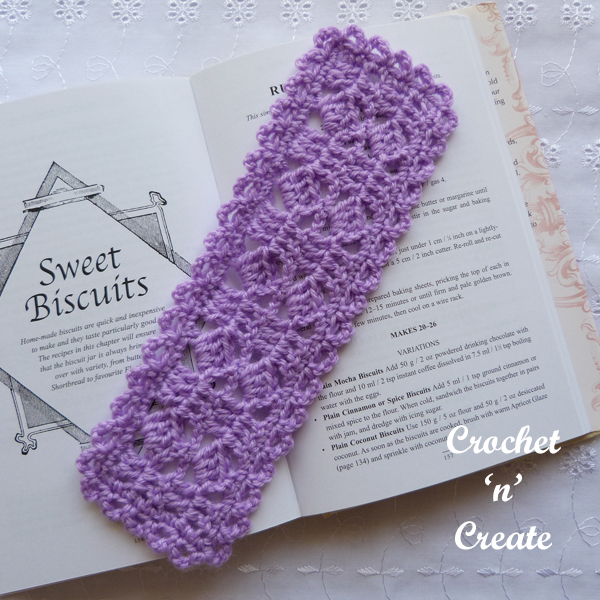 You are welcome to sell the finished products made from the little boxes crochet bookmark free pattern, I just ask that you please use your own pictures and put a link back to crochet ‘n’ create. 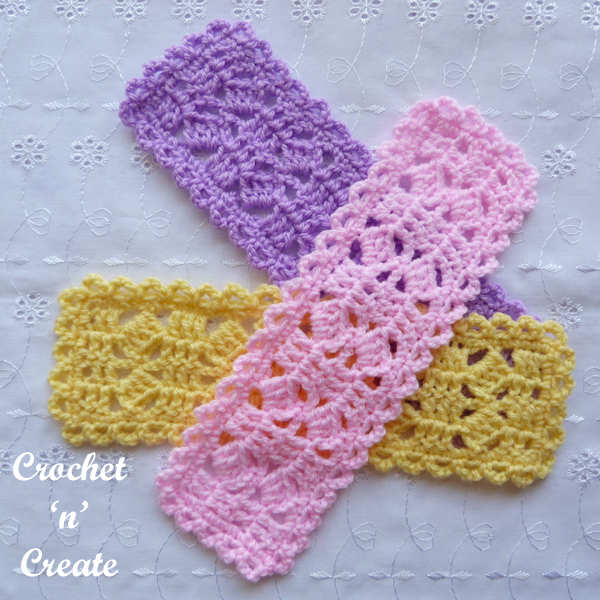 DO NOT share the written instructions for this little boxes crochet bookmark free pattern. 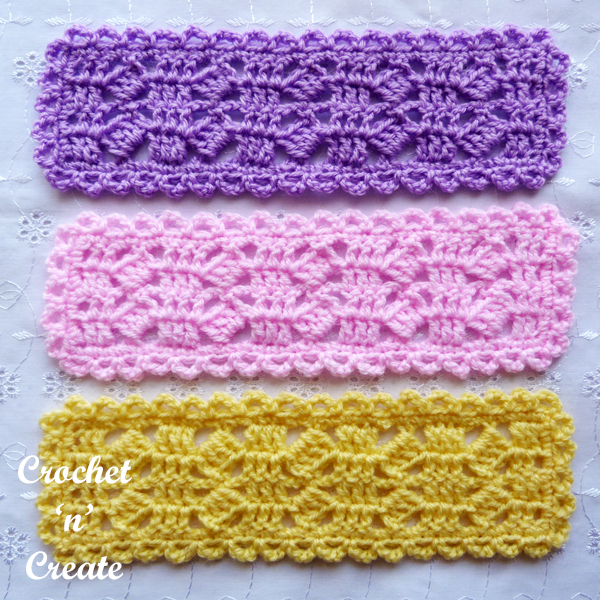 This entry was posted in crochet for the home, Miscellaneous Crochet and tagged crochet, crochet for home, free crochet patterns, Miscellaneous Crochet on 13th April 2019 by crochetncreate.